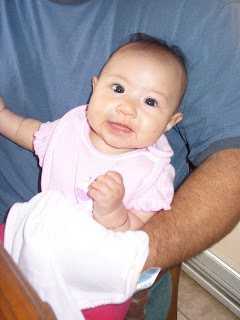 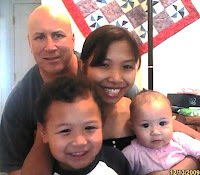 My Parenting Journey: Eating time! 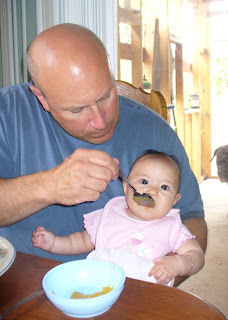 Here are the latest photo of Dana while Daddy feeding her baby food. 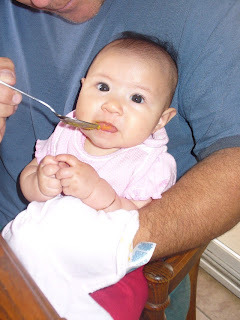 Looks like she really enjoy her first baby food!